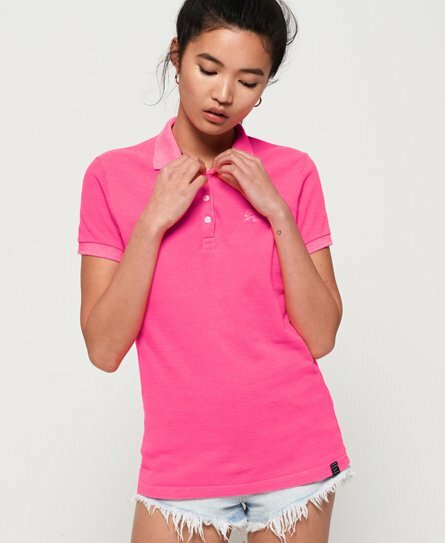 Superdry women's cotton polo top. This classic polo top features a four button fastening, embroidered logo on the chest and has been finished with a logo tab on the hem. Style with skinny jeans and trainers for the everyday.